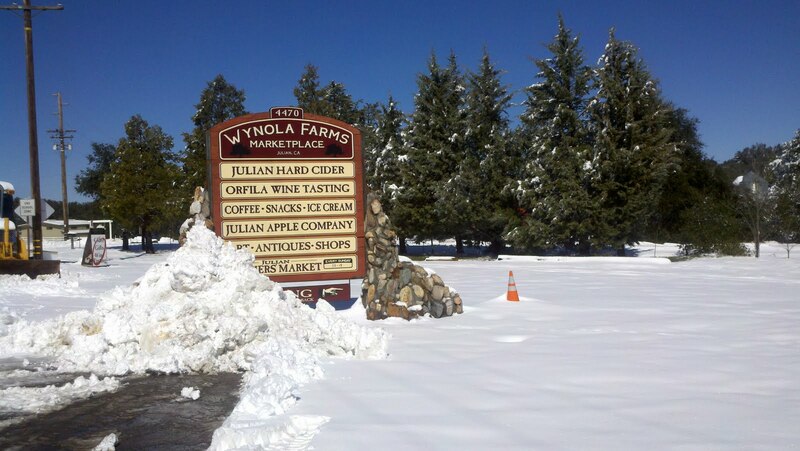 JULIAN STATION: Zin and Zinn + SNOW! Zin and Zinn + SNOW! A few weeks ago we offered you an invitation to hear the music of Ben Zinn along with tasting some of Orfila Winery and Country Cellars Tasting rooms' Zinfandel. This week we are going to make the same offer but add one bonus: Mountain SNOW! Join us Sunday for the usual Music at the Marketplace festivities and BBQ at Noon. See you soon.